According to the U.S. Food and Drug Administration website, the tablets, which treat hypertension and hypertensive patients with left ventricular hypertrophy , contained small amounts of N-nitrosodiethylamine (NDEA). 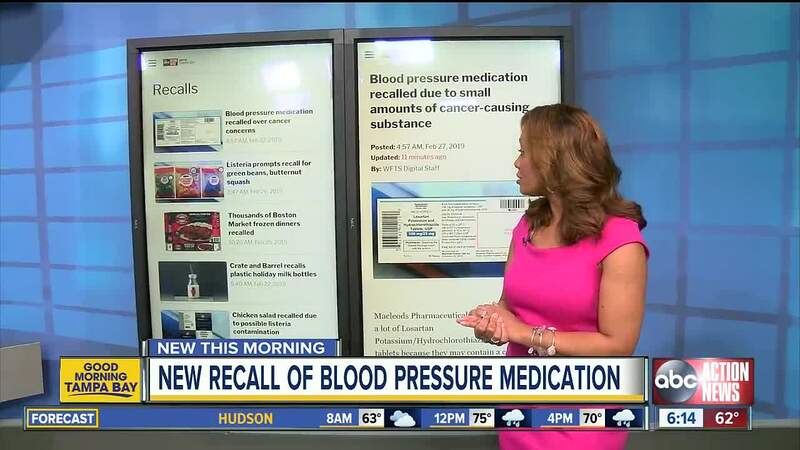 "Patients who are on Losartan Potassium/Hydrochlorothiazide combination tablets, USP should continue taking their medication, as the risk of harm to the patient's health may be higher if the treatment is stopped immediately without any alternative treatment," the FDA recall states. Anyone who has any general questions regarding the return of this product should contact Qualanex via email at recall@qualanex.com or call 888-280-2042, 7 a.m. to 4 p.m., CST, Monday through Friday.